Prom etiquette tips for students and their parents can help teens have the best prom ever. Keep in mind every prom and person is different. Let these tips serve as a starting point for conversations you have with your date, group of friends, or parents. Whether your date is your girlfriend, your boyfriend, a crush, or just a friend, there are some tips that can help any couple make the most of their prom together. In the past girls waited for a guy to ask them to prom. Today, it's totally acceptable to ask a guy to prom. Whether you're in a relationship or single, there are few tips to keep in mind when asking someone to be your prom date. If you have a significant other, don't just assume they'll go with you - ask. If you are single, only ask someone you know is also single. Ask him or her to be your date at least two months in advance so they have time to prepare. Find a cute, memorable way to ask so this part of the experience feels as special as prom night. Ask in a private setting so your potential date won't feel pressure to say "yes" and you won't be publicly humiliated if they decline. Give your potential date a day or two to respond without any pressure. Who Pays for What When You Have a Prom Date? Each person pays for their own outfit. This way you can be as frugal or extravagant as you're each able. Each person buys the corsage or boutonniere for the other person as a sort of prom gift. The asking person typically pays for the tickets, but you can agree to split the cost if needed. Dinner, a limousine, and any other special expenses are usually split in half unless one person clearly has a larger budget than the other, then the person with the bigger budget pays a bigger percentage. Most couples try to coordinate their outfits to show they are a couple. Talk about your individual styles then shop together to get coordinating looks. Keep in mind coordination doesn't necessarily mean matching. Choose a color scheme that looks good on both of you. Look for ways to incorporate your individual styles. Choose outfits that have the same level of formality. Prom manners for couples are really no different from typical date night manners. This is a special occasion and you both want to feel special, so go out of your way to be considerate of each other. Leave your baggage at home. Take a night off from any fights to just have carefree fun. Keep your expectations low. Go into prom night with the expectation that you'll have fun together and probably nothing more to keep stress low. Talk about what your best prom night looks like to better understand how to help your date have an awesome time. Don't forget about your friends. You're having a special time together, but it's also a last hurrah for your group of friends. Be on your best behavior by opening doors or getting drinks for each other and letting your date know where to find you if you head to the restroom or to dance with friends. In the "olden days" there were different sets of etiquette tips for guys and etiquette tips for girls, but today everyone is pretty much on an equal playing field. Whether you're headed to prom totally solo or with a group of friends, keep these tips in mind. Should You Go to Prom Solo or With Friends? Prom night is all about that one last celebration with your class and your friends before graduation. There's nothing wrong with going completely solo, but you'll probably have more fun if you go with friends. If you're invited by a group of friends, give them a quick response so the group can plan accordingly. Pay for your fair share if you go with a group and pay on time. Who Pays for What When You Don't Have a Prom Date? Each person buys their own outfit and prom ticket. Corsages and boutonnieres aren't required or expected, but it's a nice gesture if each person buys one for someone else. Draw names to make it fair. If you go out to dinner and order your own meal, you pay for your own meal. If you have a potluck or buffet dinner, everyone splits the costs evenly. Extra expenses like a limo or photographer for group photos should be split evenly between everyone in the group. Make sure your outfit is not the same or too similar to anyone else in the group. Choose your outfit with the goal of looking your best, not upstaging everyone else in the group. Respect the styles of others and compliment everyone's look. Bring your own jacket and purse or make sure you have pockets; don't expect anyone else to hold your stuff or give your their coat when it's cold. Even though you're flying solo, you want to make sure everyone at prom has a great night. Keep your ego in check and remember the night's not only about you. Have fun with your friends, but don't become a third wheel. If it's clear a couple wants to be alone, give them their space. Only join group photo ops if you're invited to join. If someone asks you to dance, give them a quick and kind response. If you ask someone to dance and they say "No," move on and refrain from asking again later. 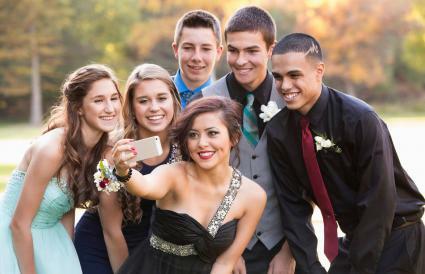 Prom is all about the teens, but parents still have important roles in this exciting occasion. Talk with your teens about all aspects of prom including how they see you fitting into their plans. Since this is a special occasion it's okay to be a little more flexible or less frugal than usual, but keep in mind your family values as they should be a constant string throughout your teens whole life. Who Pays for Prom: Parents or Teens? Prom night can get really expensive when teens and parents don't set a reasonable budget. Talk about the costs and what you are comfortable helping with before any spending takes place. Consider your family's financial situation and offer to help with costs up to a certain amount that won't break your bank account. Parents often help pay for prom dresses and prom tuxedos. Expenses outside of tickets and attire are really extras and teens should figure out how to pay for them. If neither of you has the money to cover the costs, consider asking close family members to help or assist your teen in finding resources like a free prom dress shop. You may imagine your child in a specific look while they've got their eye on the complete opposite. Talk about styles and budgets before any shopping trips to get on the same page. 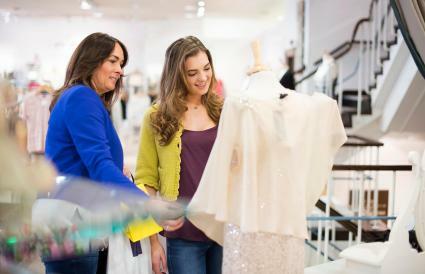 Shop online with your child and come to some agreements on acceptable styles then let them shop at a store with friends. Give your teen cash only to buy their look so there's no chance they'll overspend. As a parent, you certainly have the right to give an opinion, but you should also be willing to allow your teen's personal style to shine. 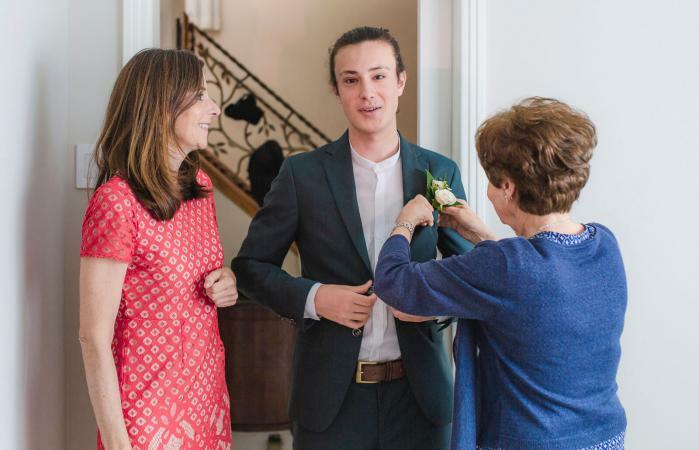 From chauffeurs to volunteers, parents can take on many prom night duties depending on how your prom is run and what your teen needs from you. Parents are always included in pre-prom photo ops either at home or in a group setting at one friend's house. If your kids can't afford a sweet ride and can't drive well in a gown, drop them off and pick them up, but try to keep out of conversations and don't hang around longer than needed. Teachers and parents are often expected to volunteer as chaperones. Do so only if your teen is okay with it and even then, hang with the other adults and avoid stalking your kid all night. After prom parties thrown by the school, prom committee, or a parent group always include parent volunteers. Again, only sign up if your teen says it's okay. Different kids have different expectations of this coming-of-age experience. Even thought it's seen as a super special event, you've still got the same parental duty to help your kid stay safe. Be willing to stretch rules like curfew to accommodate the hours of prom, but don't feel pressured to forgo any rules completely. Talk to your teen about drinking and after parties. Make an escape plan should they need it. Don't badger your kid all night, but do require that they answer your check-in texts in a timely manner and only check in during times you know are transitionary. Know where your teen plans to be at all times during the night. A lot of teens place a lot of value on prom. Give your kid the chance to have a great time by minding your parental manners. Act normal. Talk to your teen and act toward them how you would on any other day in front of other people. Be a little more reserved. Compliment everyone and wish them a good time, but avoid too many jokes, personal stories, or directives. Be punctual. Arrive on time for the things you're involved in and leave on time too. This prom will be your best prom ever if you manage your expectations, take time to prepare, and talk with friends or family before making any concrete plans. While you don't have to adhere to every prom etiquette tip, they can help guide you to a meaningful experience that's enjoyable for everyone involved.